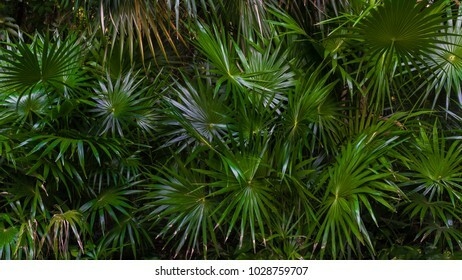 450 stock photos, vectors, and illustrations are available royalty-free. NEW YORK - JULY 12: Justin Bieber and Hailey Baldwin are seen on July 12, 2018 in New York City. NEW YORK - JULY 12: Justin Bieber is seen on July 12, 2018 in New York City. NEW YORK - JUNE 19: Victoria Beckham is seen on June 19, 2018 in New York City. NEW YORK - JULY 18: Taylor Swift is seen on July 28, 2018 in New York City. NEW YORK - JULY 15: Rebel Wilson is seen filming 'Isn't it Romantic' on July 15, 2018 in New York City. NEW YORK - AUGUST 2: Chloe Grace Moretz is seen on August 2, 2018 in New York City. NEW YORK - JULY 20: Taylor Swift seen on July 20, 2018 in New York City. NEW YORK - JULY 19: Gigi Hadid is seen on July 19, 2018 in New York City. 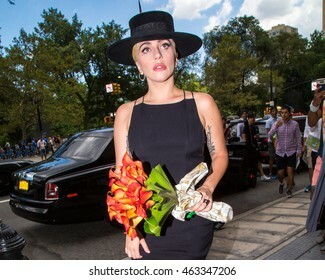 NEW YORK - JULY 11: Lady Gaga is seen on July 11, 2018 in New York City. NEW YORK - JULY 21: Taylor Swift is seen on July 21, 2018 in New York City. NEW YORK - MAY 15: Khloe Kardashian is seen on May 15, 2017 in New York City. NEW YORK - AUGUST 2: Jessica Simpson and Eric Johnson are seen on August 2, 2018 in New York City. 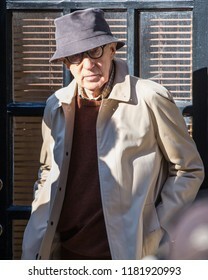 NEW YORK - SEPTEMBER 19: Selena Gomez is seen filming her new Woody Allen movie on September 19, 2017 in New York City. NEW YORK - FEBRUARY 10: Millie Bobby Brown is seen visiting Calvin Klein fashion show on February 10, 2017 in New York City. NEW YORK - SEPTEMBER 4: Olivia Culpo is seen on September 4, 2018 in New York City. 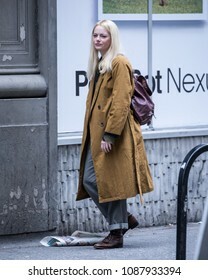 NEW YORK - MARCH 14: Nicole Kidman is seen filming 'The Undoing' on March 14, 2019 in New York City. 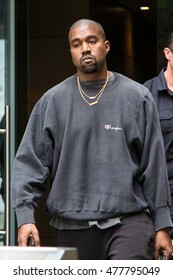 NEW YORK - SEPTEMBER 3: Kanye West is seen exiting her hotel on September 3, 2016 in New York City. NEW YORK - FEBRUARY 26: Hilary Duff is seen filming 'Younger' on February 26, 2019 in New York City. NEW YORK - OCTOBER 26: Jennifer Lopez is seen on set of 'Second Act' in Central Park on OCTOBER 26, 2017. 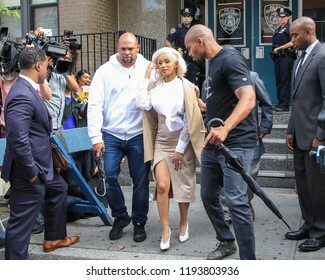 NEW YORK - OCTOBER 1: Cardi B is seen leaving 109th Police Precinct on October 1, 2018 in Flushing, Queens. NEW YORK - SEPTEMBER 6: Kim Kardashian is seen exiting her hotel on September 6, 2016 in New York City. 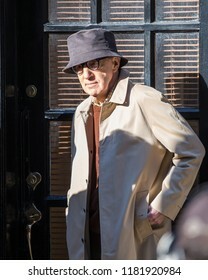 NEW YORK - MARCH 7: Woody Allen is seen on March 7, 2016 in New York City. NEW YORK - MAY 15: Kim Kardashian is seen on May 15, 2017 in New York City. NEW YORK - NOVEMBER 21: Priyanka Chopra pictured on location in Harlem filming 'Quantico' on November 21, 2017 in New York City. NEW YORK - AUGUST 6: Alyssa Milano is seen on August 6, 2018 in New York City. NEW YORK - May 10: Emma Stone is seen filming 'Maniac' on May 10, 2018 in New York City. 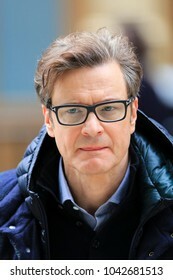 NEW YORK - APRIL 8: Colin Firth Is Seen Taking A Stroll In SoHo on April 8, 2014 in New York City. NEW YORK - November 21, 2016: Carrie Fisher seen leaving 'Today' Show on November 21, 2016 in New York City. NEW YORK - OCTOBER 26: Jennifer Lopez is seen on set of 'Second Act' in Central Park on OCTOBER 26, 2017 in New York City. NEW YORK - MARCH 30: Rosie Huntington-Whiteley is seen at her hotel on March 30, 2018 in New York City. NEW YORK - FEBRUARY 12: Bella Hadid is seen walking in the street on February 12, 2018 in New York City. NEW YORK - FEBRUARY 22: Rosie Huntington-Whiteley is seen leaving her hotel on February 22, 2018 in New York City. 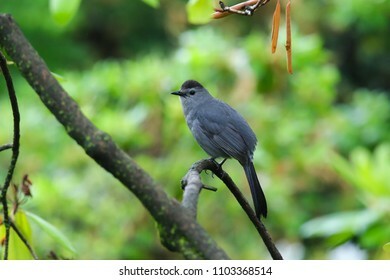 Gray Catbird (Dumetella carolinensis) on a branch with a green background. 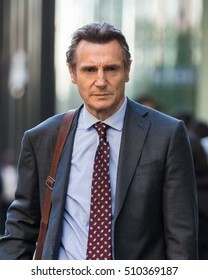 NEW YORK - NOVEMBER 4: Liam Neeson is seen on November 4, 2016 in New York City. 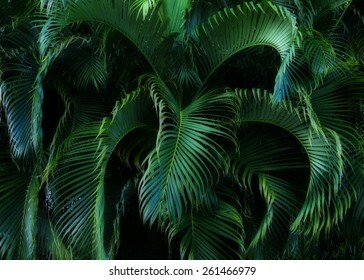 Natural lush green palm trees and leaves in tropical forest as wallpaper or background. NEW YORK - NOVEMBER 28, 2016: Sarah Jessica Parker seen arriving at ABC Studios to make an appearance on 'The View' TV Show on November 28, 2016 in New York City. 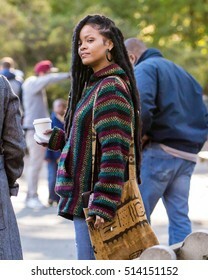 NEW YORK - NOVEMBER 9: Rihanna is seen on set of 'Ocean's 8' in Central Park on November 9, 2016 in New York City. NEW YORK - JANUARY 15: Julia Roberts is seen on set of 'Ben is Back' with her co-star Lucas Hedges on January 15, 2018 in New York City. 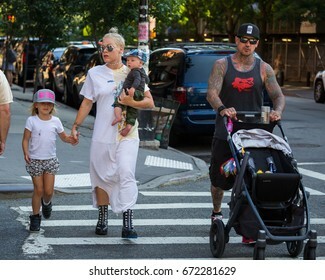 NEW YORK - JULY 5: Pink with husband Carey Hart, daughter Willow and son James are seen exiting their hotel on July 5, 2017 in New York City. 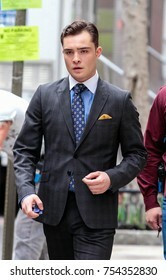 NEW YORK - MARCH 21: Ed Westwick seen on set of 'Gossip Girl' on March 21, 2012 in New York City. 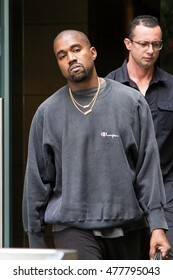 NEW YORK - MAY 5: Kim Kardashian seen running errands in SoHo on May 5, 2015 in New York City. NEW YORK - SEPTEMBER 21, 2016: Amal Clooney sighting on September 21, 2016 in New York City. NEW YORK - SEPTEMBER 6: Emily Ratajkowski is seen on September 6, 2018 in New York City. NEW YORK - SEPTEMBER 4: Selena Gomez is seen exiting her hotel on September 4, 2017 in New York City. 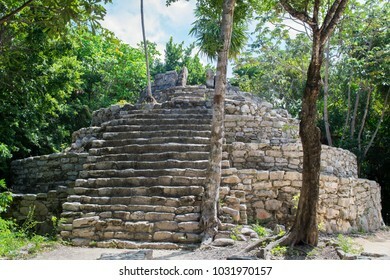 Mayan temple ruins dated from Late Post-Classic period (1400-1550 A. D.) with round floor plan and the platform substructure from the Classic period (300-900 A. D.) in Quintana Roo, Mexico. 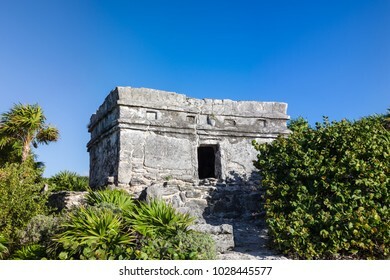 Mayan temple ruins surrounded by plush tropical vegetation against blue sky in Riviera Maya, Playa del Carmen, Mexico. NEW YORK - FEBRUARY 10: Kate Bosworth is seen in Midtown on February 10, 2017 in New York City. NEW YORK - AUGUST 16, 2017: Katie Holmes seen walking on the streets of Manhattan on August 16, 2017 in New York City. 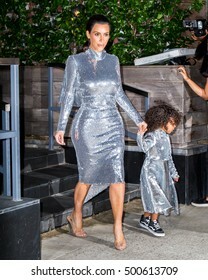 NEW YORK - SEPTEMBER 5: Kim Kardashian is seen stepping out on October 10, 2016 in New York City. 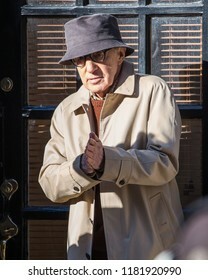 NEW YORK, February 3, 2017. 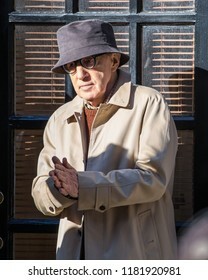 Dr. Phil McGraw seen running errands in NYC. NEW YORK - JULY 10: Heidi Klum is seen leaving her Downtown hotel on July 10, 2017 in New York City. 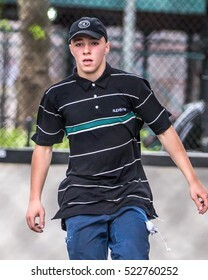 NEW YORK - AUGUST 25: Rocco Ritchie seen on August 25, 2016 in New York City. 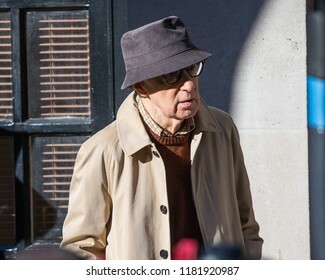 The 16-year-old son of Madonna and director Guy Ritchie was reportedly arrested for possession of marijuana in London, UK. NEW YORK - AUGUST 3: Lady Gaga seen out and about on August 3, 2016 in New York City. 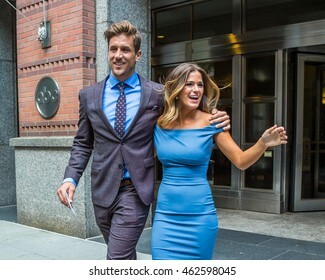 NEW YORK - AUGUST 2: Bachelorette Jojo Fletcher and fiance Jordan Rodgers seen leaving ABC Studios on August 2, 2016 in New York City. 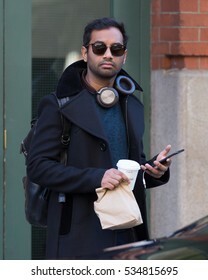 NEW YORK - December 12, 2016: Aziz Ansari seen in TriBeCa on December 12, 2016 in New York City. 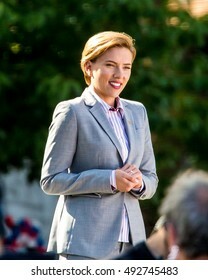 NEW YORK - SEPTEMBER 26: Scarlett Johansson is seen in filming 'Rock That Body' on September 26, 2016 in New York City. NEW YORK - SEPTEMBER 28: Chrissy Teigen is seen in East Village on September 28, 2016 in New York City.